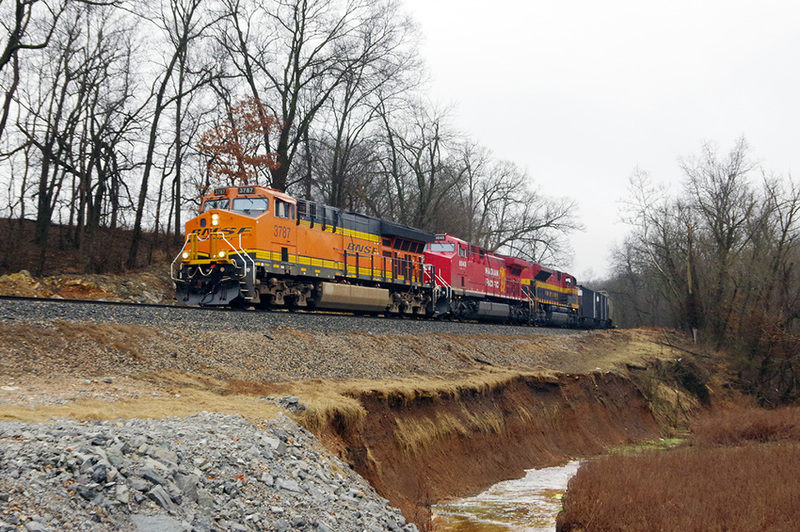 BNSF #3787 northbound on the Kansas City Southern at Mount Olive Road in Gravette, Arkansas on February 11, 2019. Photographed by David Sommer, February 11, 2019. Added to the photo archive by David Sommer, February 12, 2019.